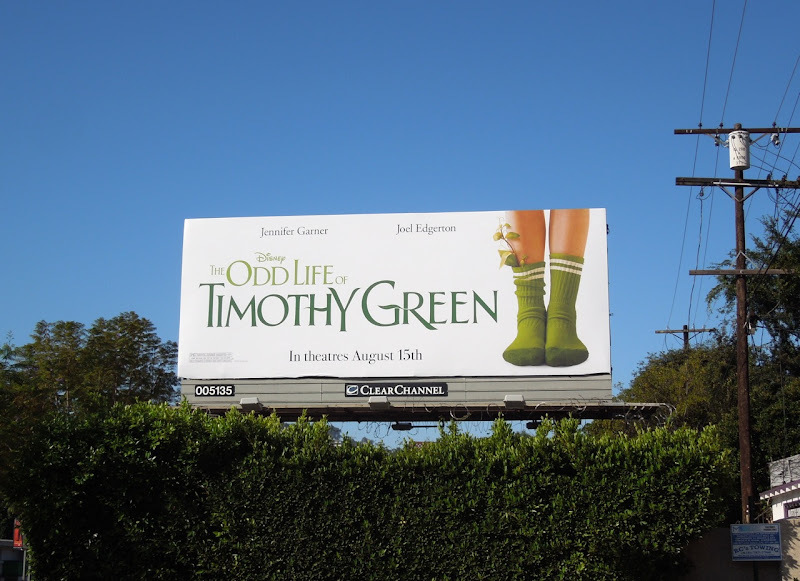 There's something very sweet and eye-catching about this simple 'socks' visual for Disney's The Odd Life of Timothy Green, especially with this super-sized billboard along L.A.'s Sunset Strip. 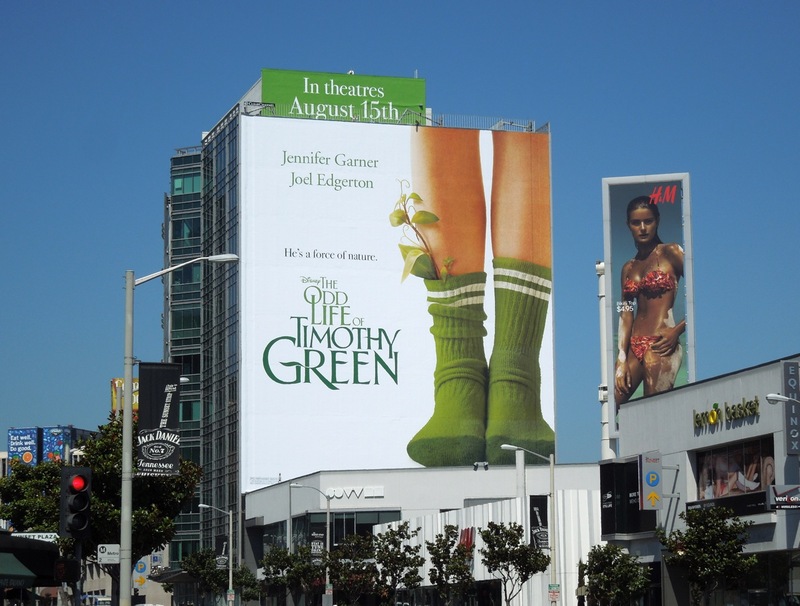 However quirky the creative looks though, Daily Billboard can't shake the nagging feeling that this film sounds awfully like a take on Brad Pitt's The Curious Case of Benjamin Button. And given that Disney's live-action offerings haven't had the best track record with movies with names in their titles of late (dare we even mention the box office travesty that was John Carter), it's surprising to see something so similar being released so soon. 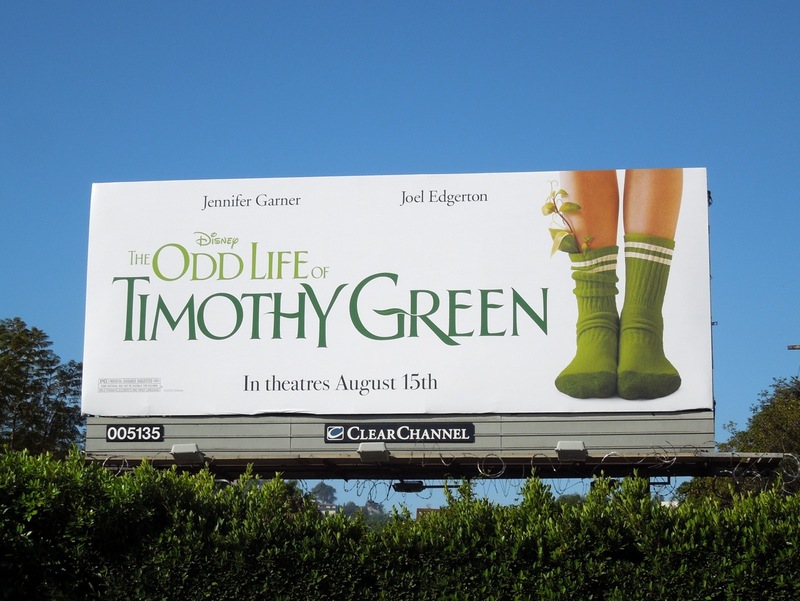 Let's hope this story, about a couple unable to conceive who bury their wishes in a box in their backyard and fantastically wake up to discover a 10-year-old boy on their doorstep, proves more original than the film's title. 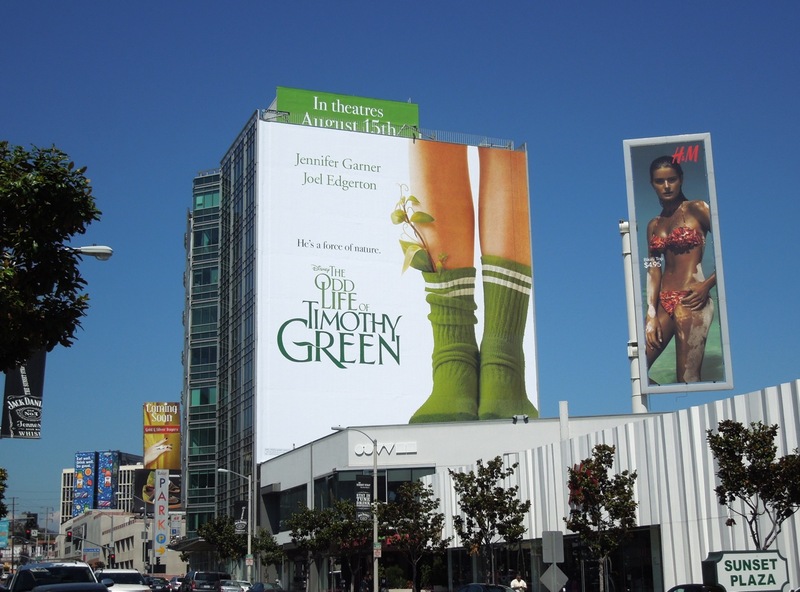 The giant billboard for the movie was snapped towering over Sunset Plaza, whilst the standard landscape version was spied along Barham Boulevard on July 14, 2012.